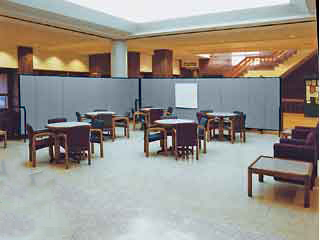 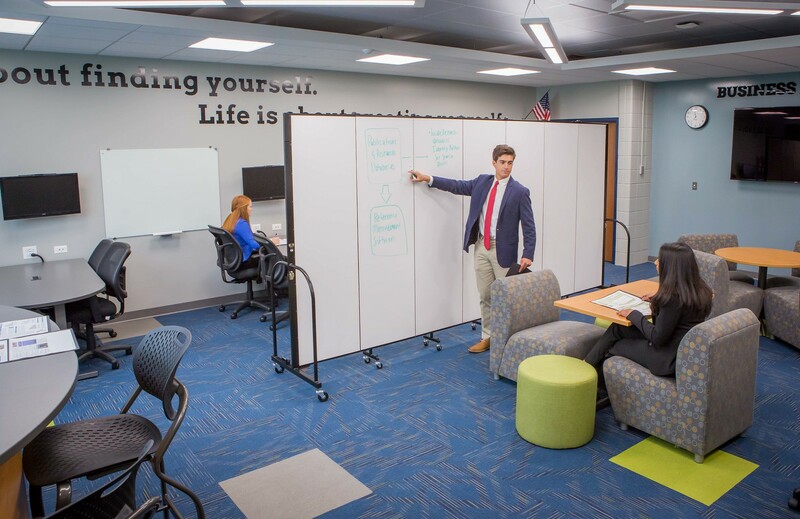 The Challenge Flexible space to host multiple groups of students at once. 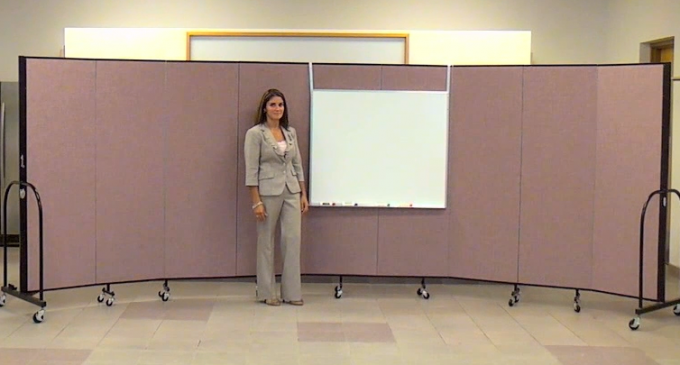 Transform any office, classroom, meeting room or fellowship hall into a truly interactive space with Screenflex Portable Wet Erase Walls. 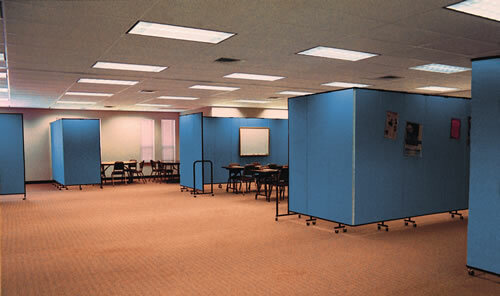 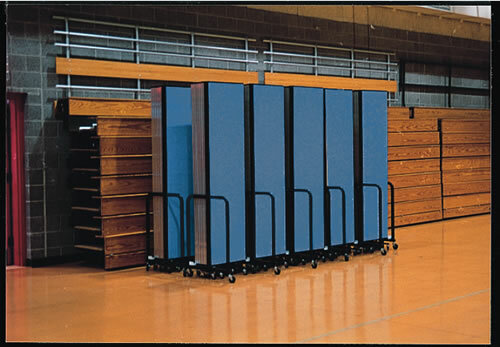 Choose the desired size of your movable wet erase walls from our 36 available sizes. 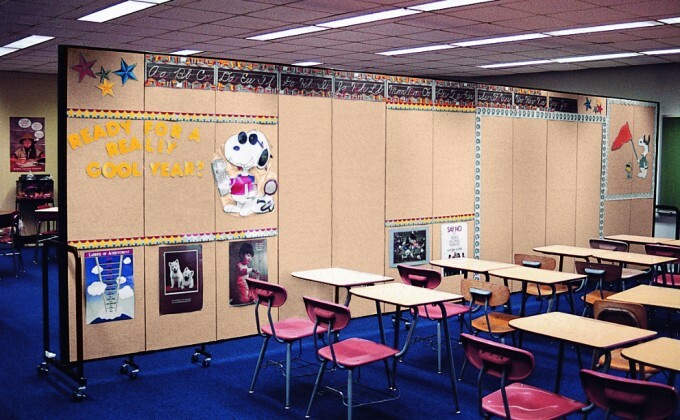 Customize your portable wet erase walls by selecting the number of panels you desire in the wet erase material, vinyl or fabric coverings. 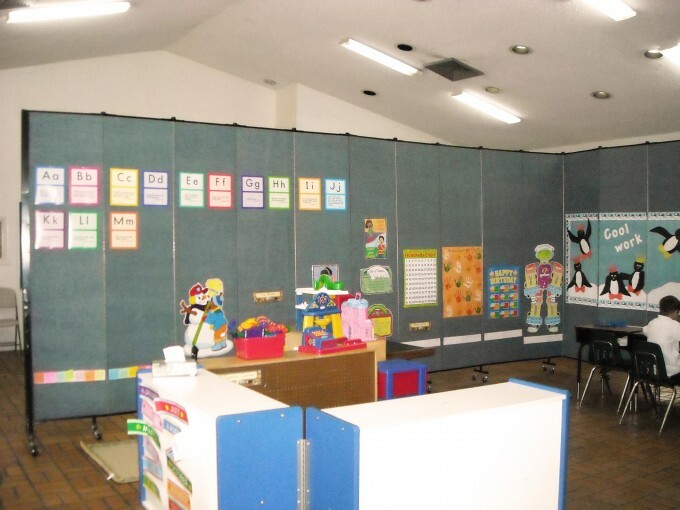 The one seen here has 7 panels on one side covered in wet erase material, and the other side covered in our Charcoal Black Designer fabric.